The NBA season tipped off last week, which makes it the perfect time to roll out some new Big East content to drown out the monotony of early-season professional basketball. Over the coming weeks, the Big East microsite will be previewing all the teams, players and key storylines to watch as we approach tip-off. Be sure to follow @RTCBigEast and its contributors Justin Kundrat and Brad Cavallaro to get your fix. In the spotlight today will be (alphabetically) DePaul and Georgetown. DePaul: Have the Blue Demons improved their overall talent level enough to climb the standings? 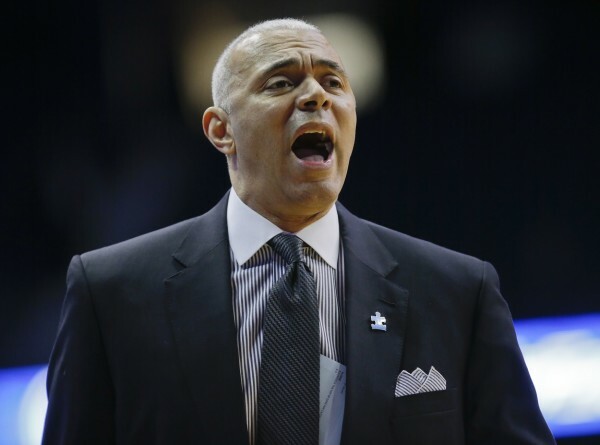 DePaul has undoubtedly improved during Dave Leitao‘s second tenure at the school. In 2016-17, the Blue Demons finished 183rd in KenPom and they ascended all the way to 99th a season ago. Although it was a remarkable improvement — most notably on the defensive end of the floor — it was not enough to change position in the Big East standings (last in both seasons). The Blue Demons have talented players like Max Strus (16.8 PPG, 5.6 RPG) and Eli Cain (11.7 PPG, 4.7 APG) returning, but will the additions a pair of quality transfers in sharp-shooting guard Jalen Coleman-Lands and skilled big man Femi Olujobi be enough to compensate for the losses of former starters Tre’Darius McCallum and Marin Macic? Improvements from sophomores Paul Reed and Jaylen Butz in the frontcourt should also be expected, but for DePaul to be in position to jump to ninth or higher in the league standings, the team will need to shore up the point guard position. Cain suitably filled the role last year despite it not being his natural position, but if redshirt sophomore Devin Gage or freshman Flynn Cameron shows promise, Leitao’s group might be poised to finally rise out of the Big East cellar. Don’t count on it, however. This group of point guard candidates does not inspire much confidence and the Big East is simply too tough on a nightly basis for a key leadership position to be so shaky. Still, Leitao should be commended for making the Blue Demons competitive and all indications are that his team could again rank among the top 100 nationally despite finishing in last place in the league standings.